The most commonly known handicapped equipment is the wheelchair. When someone says handicapped or disability, their first thought is a wheelchair. There are many different types of wheelchairs. Some are motorized and others require manual handling. If you have weakness in your hands and arms, the motorized wheelchairs might be better for you. The motorized wheelchairs are also known as electric wheelchairs, and power chairs. A handicapped scooter also powered by electricity has a different design with 3 or 4 larger wheels and in the front has headlights with a storage basket. A handicap scooter is used by someone with more mobility. Due to it’s size, it is inconvenient for someone who needs indoor mobility vehicles. Pros – Your hands will not get dirty from spinning the wheelchair. A simple joystick is provided for you to control. There is more shock support if you go across a very bumpy road. The motorized wheelchairs offer the best solution for the elderly and other individuals who are generally weaker in their arms. Cons – You must remember to recharge the battery on the motorized wheelchair each night. The motorised wheelchairs are a lot more expensive than the manual versions. They can be 6 – 7 times more expensive depending on the model. 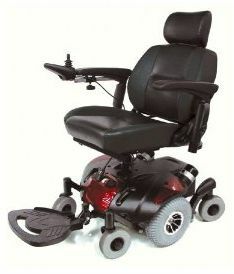 Pros – Does not require any battery recharging and don’t have to worry about the wheelchair failing on you. You exercise your arms while you are moving about. Cons – If you have to travel long distances in a wheelchair, your arms might get tired from all the turning of the wheel. The wheels on the chair can get very messy if you travel outside often. It is important to wear gloves if you plan on going outdoors when the ground is wet. Lots of dirt and random garbage can sometimes get picked up by the spinning of the wheel. Although the push rim doesn’t touch the ground, dirt can still collect. Power Wheelchairs – These motorized wheelchairs are best for someone with limited physical abilities. The vehicle is operated with a joystick . Has a tight turning radius and great climbing ability. Typically, the most expensive type of wheelchairs. Lightweight Manual Wheelchairs – Great for rehabilitation purposes, post surgery or for someone who still has strength in their upper body and hands. Very easy to transport due to it’s lightweight nature. Most affordable type of wheelchairs to buy. 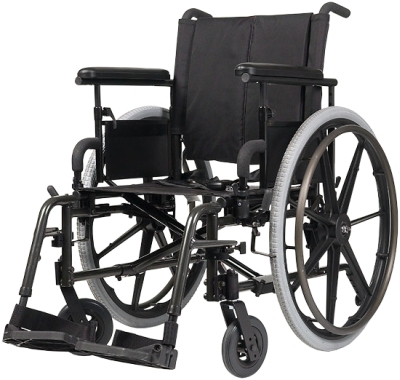 Wheelchairs offer many accessories such as back and seat cushions, cupholders, trays, legrests, and belts. Each optional addition will add more comfort and usability to your life.